 These Terms and Conditions (“the Terms”) apply to the provision of all services by Make Me Slick Pty Ltd ACN 611 277 920 (“Make Me Slick”, “we”, “us” or “our”) to the Customer (“you”). By clicking on the “Agree and Continue” button on the registration page, you agree to be bound by these Terms. Make Me Slick operates an online platform through our website, web applications, iPhone and Android applications and related online services including any new features and applications which we may modify or introduce from time to time (“the Platform”), which allows you to view, interact with, connect and book hair, beauty and tattoo services (“the Services”) with hair and beauty salons and Tattoo Studios registered on the Platform (“the Service Providers”). In order to use the Platform, you will be required to register with us and create a user account (“Registration”). By completing our online registration form, you agree to provide honest, accurate, current and complete information about yourself. We may require you to provide additional information or update such information at any time, to assist us in determining whether to permit you to continue to use the Platform. Registering with Make Me Slick and creating an account is free. There is no fee payable by you for use of the Platform. In consideration for your Registration, Make Me Slick connects you with the Services. The Platform allows for 2 types of bookings: Pay Upfront or Pay Service Provider Directly. When you make a booking for a service with a Service Provider using the Platform (“the Booking”), there will be no fees payable by you via the Platform. The fees are set solely by the Service Providers (“the Fees”) and will be paid directly to the Service Provider at the time of the booking. The Service Provider will be notified and asked to accept the Booking (“Acceptance”). Once this occurs your Booking will be confirmed and you will be notified of Acceptance. In the event that we do not receive Acceptance within 24 hours, the Booking is cancelled. When you make a booking for a service with a Service Provider using the Platform (“the Booking”), fees will be immediately payable for the Service booked by you (“the Fees”). The Fees are set solely by the Service Providers. Make Me Slick has no control over and accepts no responsibility for calculation or payment of the Fees. Once the Booking is made by you, the Fees will be deducted from your nominated bank account by Make Me Slick. The Service Provider will be notified and asked to accept the Booking (“Acceptance”). Once this occurs your Booking will be confirmed and you will be notified of Acceptance. In the event that we do not receive Acceptance within 24 hours, the Fees will automatically be refunded to you and the Booking cancelled. Upon receipt of Acceptance of the Booking from the Service Provider by Make Me Slick, the Fees will be transferred to the Service Provider without further notice to you. Make Me Slick may use a related entity or a third party service provider to provide payment services on behalf of Make Me Slick and the Service Provider (“the Payment Provider”). You acknowledge that, by making the Booking, you agree that Make Me Slick and the Payment Provider may share any information and payment instructions you provide with one another and, to the extent required to complete your transaction, with the Service Providers. By making a Booking with Make Me Slick, you agree to be bound by the Payment Provider’s terms and conditions which are located at https://stripe.com/au/legal. Make Me Slick confirms that the services offered by the Payment Provider are Third Party Services and subject to further terms set out for Third Party Services below. Make Me Slick provides a Platform only. You agree that you are solely responsible for your interactions with the Service Providers including all bookings and provision of the Services. Your use of the Services is at your own risk. Make Me Slick expressly disclaims all warranties of any kind, whether express, implied or statutory, including but not limited to the implied warranties of merchantability, fitness for purpose, title and non-infringement for the Services provided by the Service Providers. Make Me Slick accepts no liability for any aspect of the Services and your interaction with the Service Providers, including but not limited to the description of the Services offered and/or the performance of Services. The quality of any Services or other service, product, information or other material purchased from the Service Providers through this Platform will meet your expectations. You expressly agree that we have no responsibility and make no warranty as to the truth or accuracy of any aspect of any information provided by a Service Provider including but not limited to the ability of the Service Provider to perform the Services or the honesty or accuracy of any information provided to you by the Service Provider for the Services. In the event that any dispute or issue arises with a Service Provider for any of the Services arranged by using the Platform, must be referred directly to the Service Provider. Make Me Slick reserves the right, but has no obligation to you to assist or become involved in any way in any dispute between you and the Service Provider. Make Me Slick may from time to time include on the Platform, promotions for and links to services offered by third parties (“Third Party Services”). These Third Party Services are not provided by Make Me Slick. You acknowledge that we are not liable in any way for any content or materials of the Third Party Services or the Third Party Service providers, including but not limited to, any errors or omissions in any content or for any loss or damage of any kind incurred as a result of the use of any Third Party Services. You acknowledge that Make Me Slick makes no representation as to the quality or content of materials or services provided by the Third Party Service providers and that we have the right in our sole discretion to refuse or remove any Third Party Services from the Platform. You agree that you must evaluate and bear all risks associated with the use of any Third Party Services, including any reliance on the accuracy, completeness or usefulness of the Third Party Services and/or their content. the ability to access certain features through a web application operated through the internet and downloaded to your mobile device (collectively, the "Mobile Services"). To the extent you access the Platform through a mobile device, your wireless service carrier's standard charges, data rates and other fees may apply. Downloading or using certain Mobile Services may be prohibited or restricted by your carrier, and not all Mobile Services may work with all carriers or devices. By using the Platform, you agree that we may communicate with you regarding Make Me Slick and other third parties by SMS, MMS, text message or other electronic means to your mobile device and that certain information about your usage of the Mobile Services may be communicated to us. You acknowledge and agree all intellectual property rights contained on this Platform, including copyright and trademark in all and any designs, text, graphics, logos, icons, sound recordings and all software relating to this Platform belong to or are licensed by us. These intellectual property rights are protected by Australian and international laws. You may only share the information contained on this Platform for the purpose of private use, research, or review as permitted under copyright legislation. You must not otherwise in any form or by any means copy, adapt, reproduce (other than for the purpose of viewing the Platform in your browser), store, modify, distribute, print, upload, display, perform, remove any credits, publish post frame within another website or create derivative works from any part of this website or commercialise any information obtained from any part of this website without our prior written permission or, in the case of third party material, from the owner of the intellectual property rights in that material. You acknowledge that your use of, or access to, the Platform may be subject to interruption or delay. We do not give you any warranty that the Platform or the Services offered through it will be error free, without interruption or delay, or free from defects in design or engineering. If any part of these Terms is declared invalid or unenforceable by any court or authority of competent jurisdiction (including any provision in which we exclude our liability to you) all other provisions will remain in full force and effect and will not in any way be impaired and the parties will agree a replacement provision which is as close as is legally permissible to the provision found invalid, or unenforceable. Any changes to these Terms will be made available via the Platform at least seven days in advance of the changes taking effect and you will be deemed to have agreed to the changes to the Terms by accessing the Platform following the changes taking effect. All Services and/or Third Party Services are provided solely by the Service Providers and/or Third Party Service providers. Make Me Slick makes no representation that it is the agent of, affiliated with, employed by, in a joint venture with or in any other similar relationship with any Service Provider. These Terms are governed by the laws of Victoria, Australia. You and Make Me Slick submit to the exclusive jurisdiction of the Courts of Victoria. We reserve our right to freely assign these Terms and the rights and obligations contained in these terms to any third party without notice or consent. Subject to the foregoing, these Terms shall be binding upon and insure to the benefit of the parties hereto, their successors and permitted assigns. These Terms, together with any variation or modification as set out in these Terms, set out the entire understanding and agreement between Make Me Slick and you and govern your use of the Platform. You may also be subject to any additional terms and conditions that may apply if you if you use any Third Party Services.